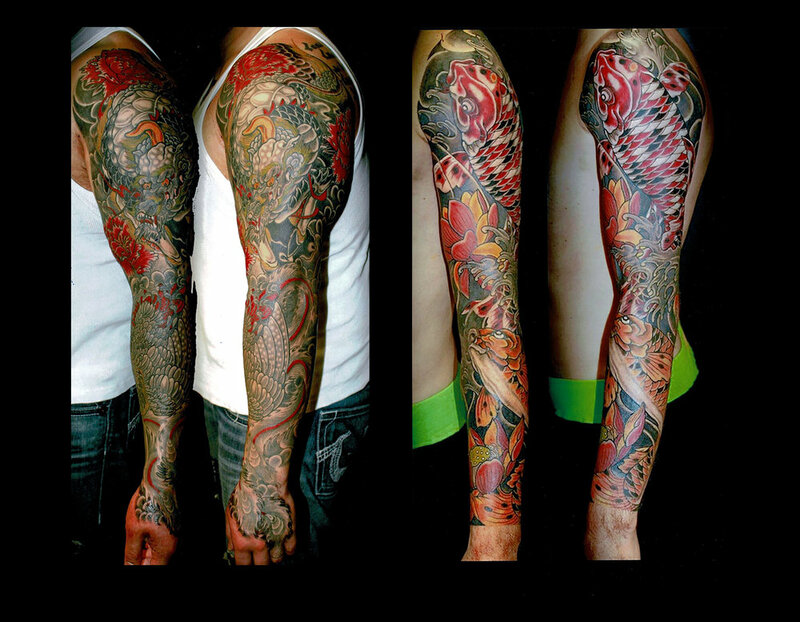 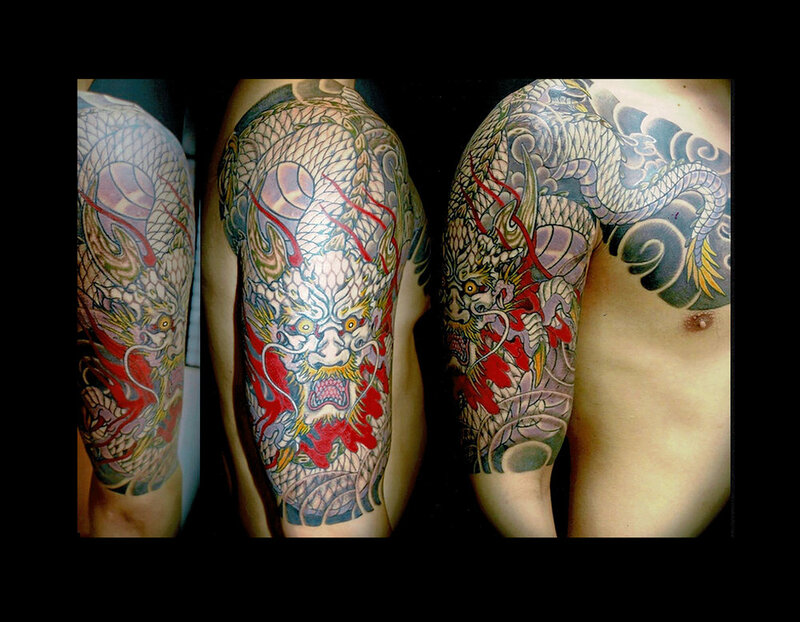 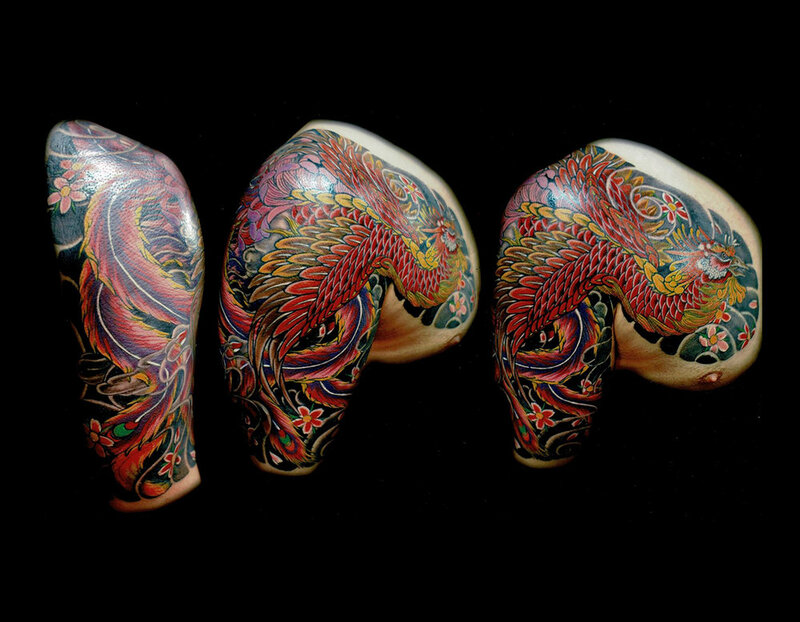 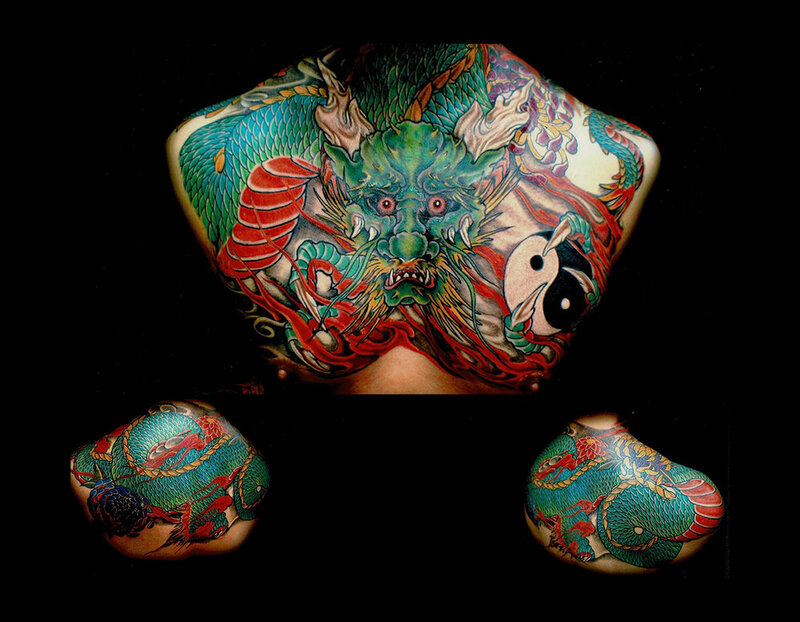 Horiryu I has been tattooing since 1988 and was one of the few pioneers to own store front tattoo studios instead of the traditional private studio in Japan. 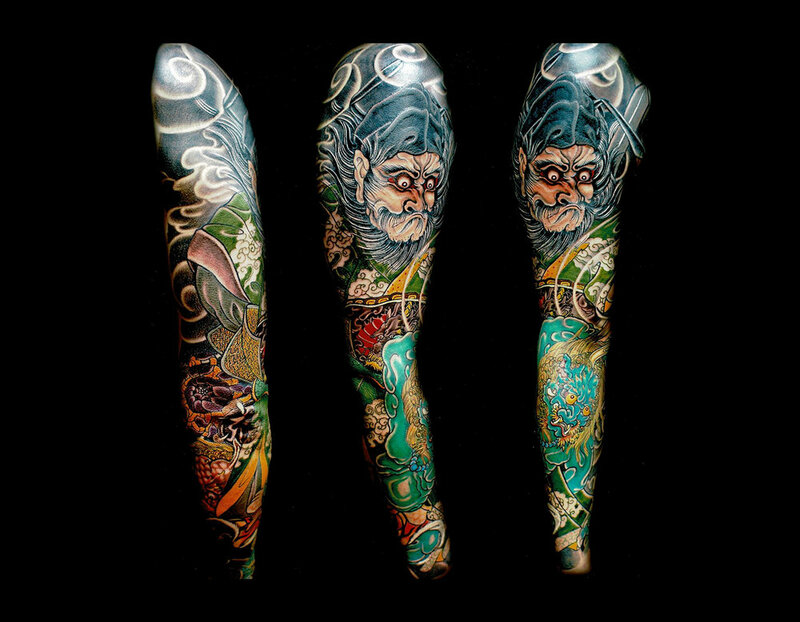 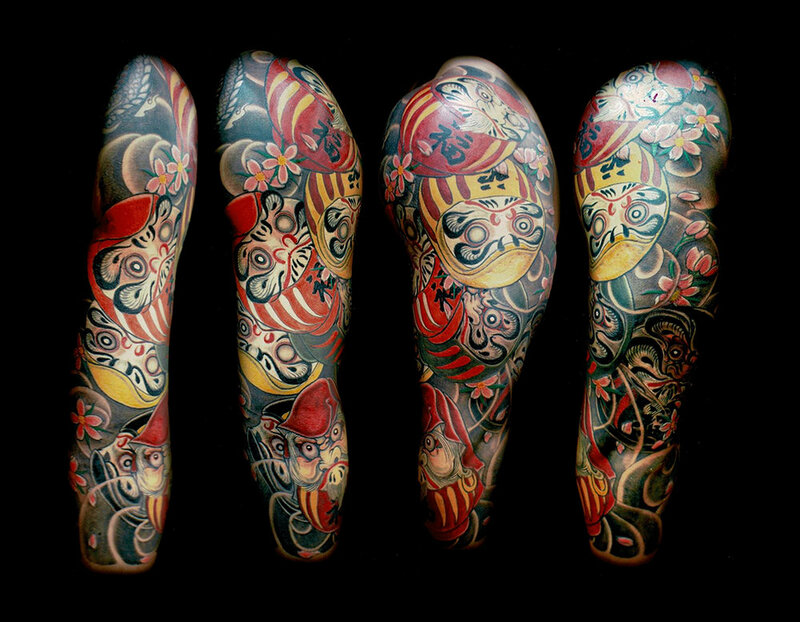 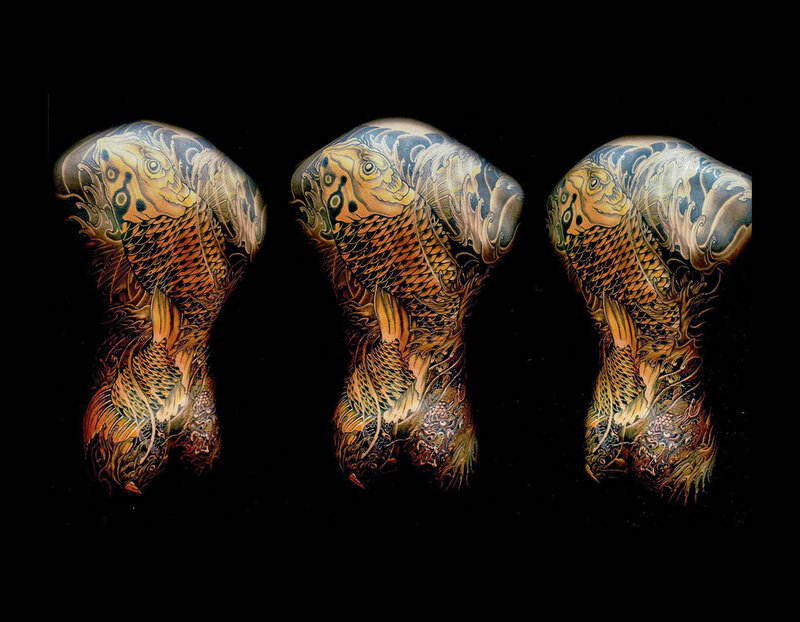 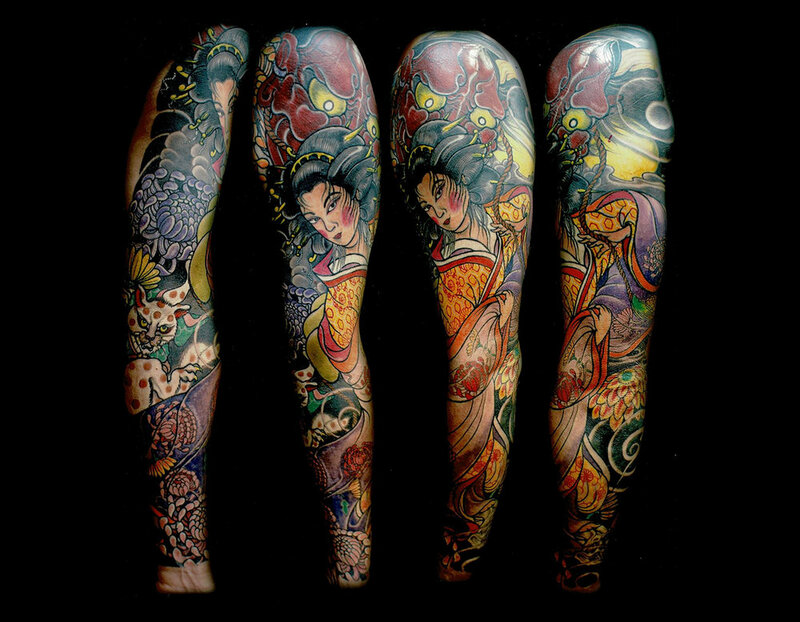 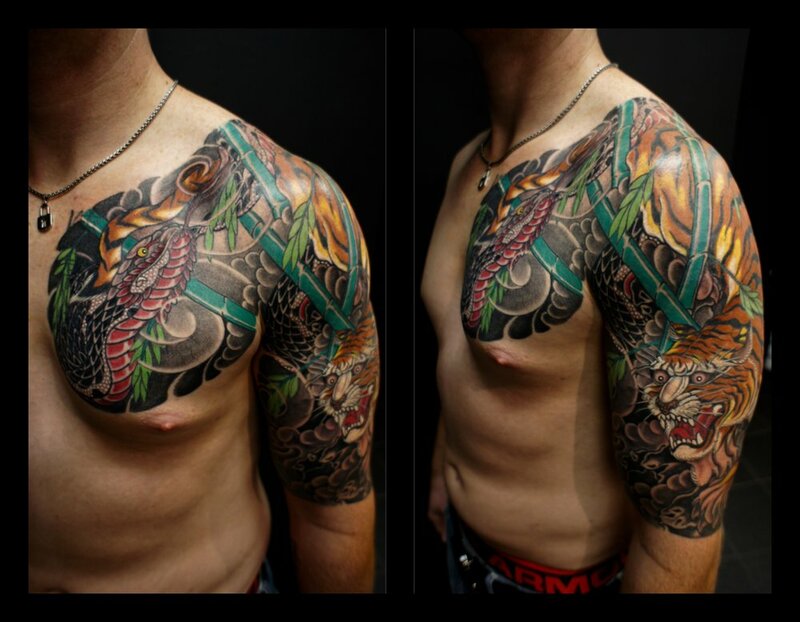 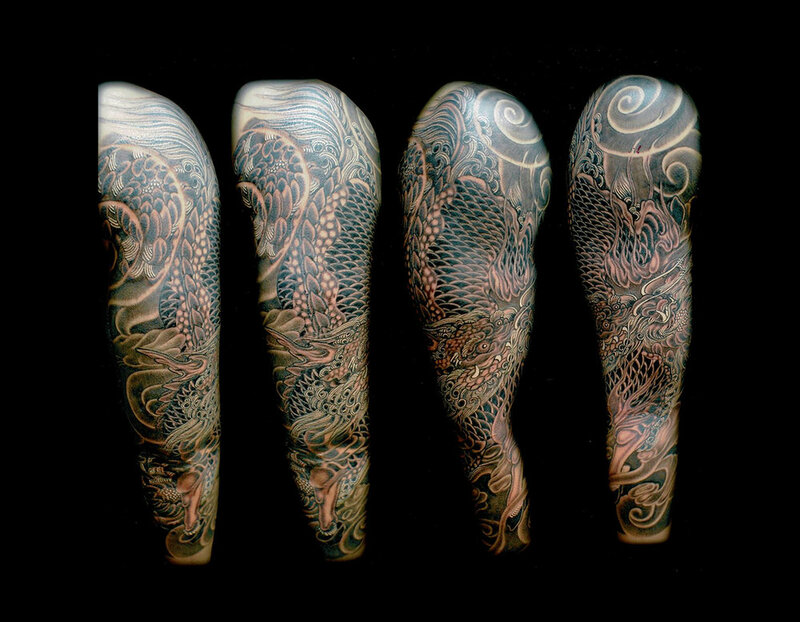 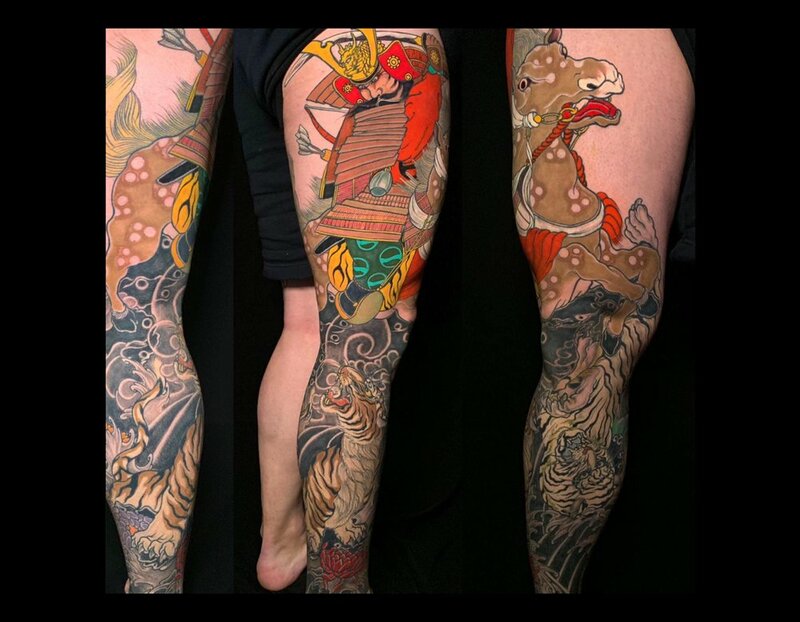 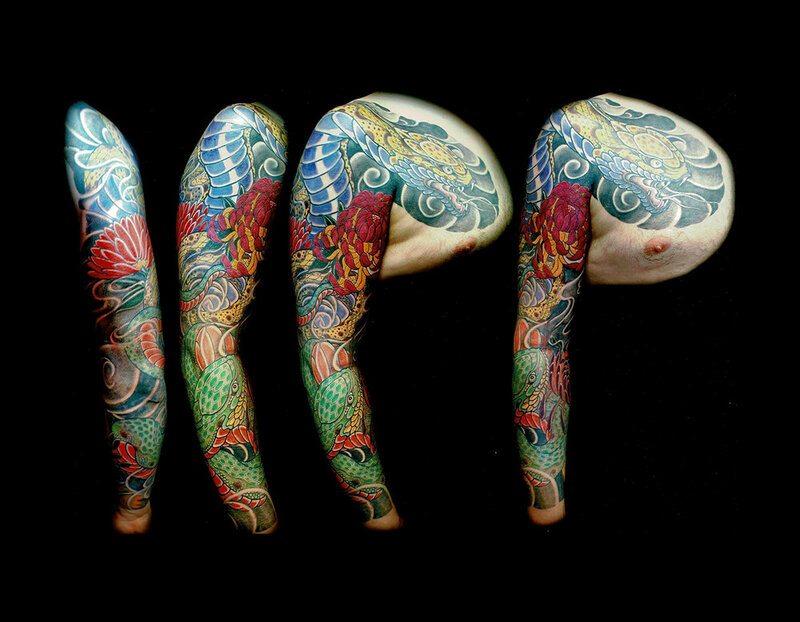 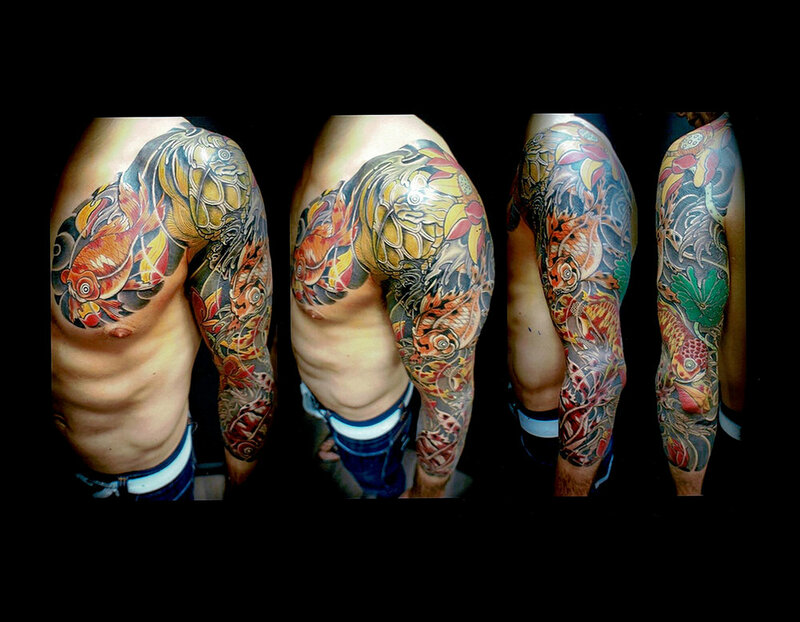 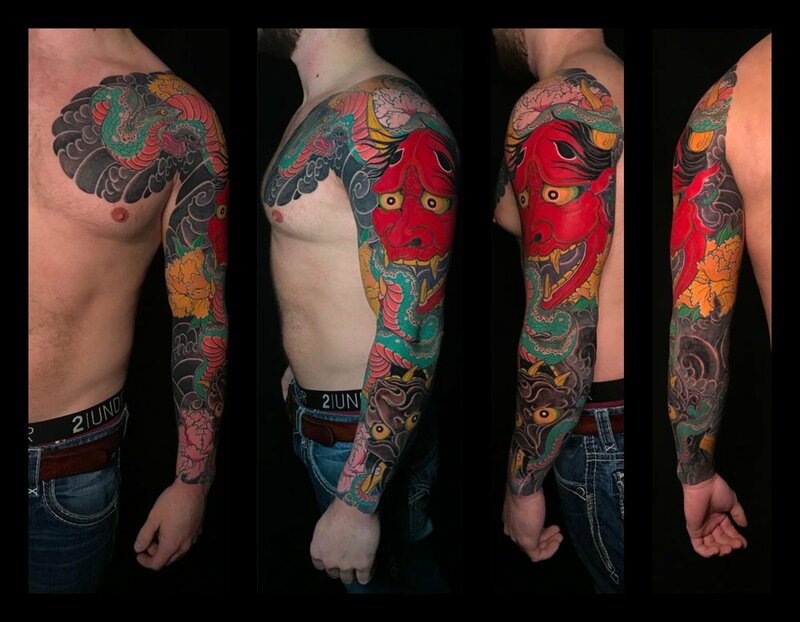 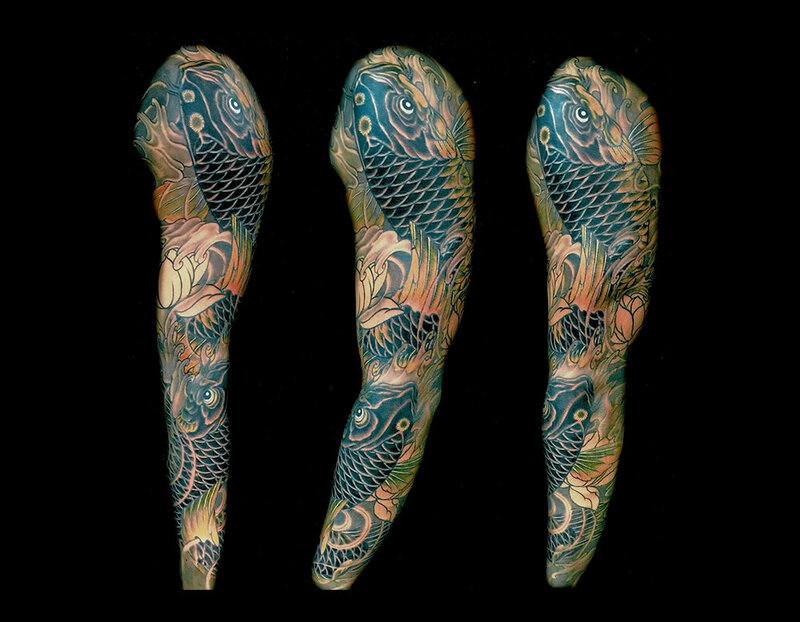 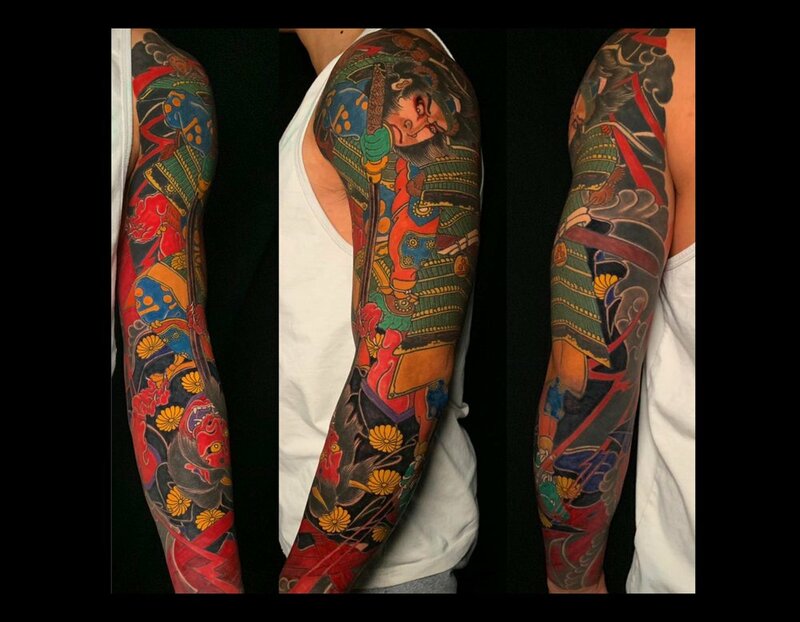 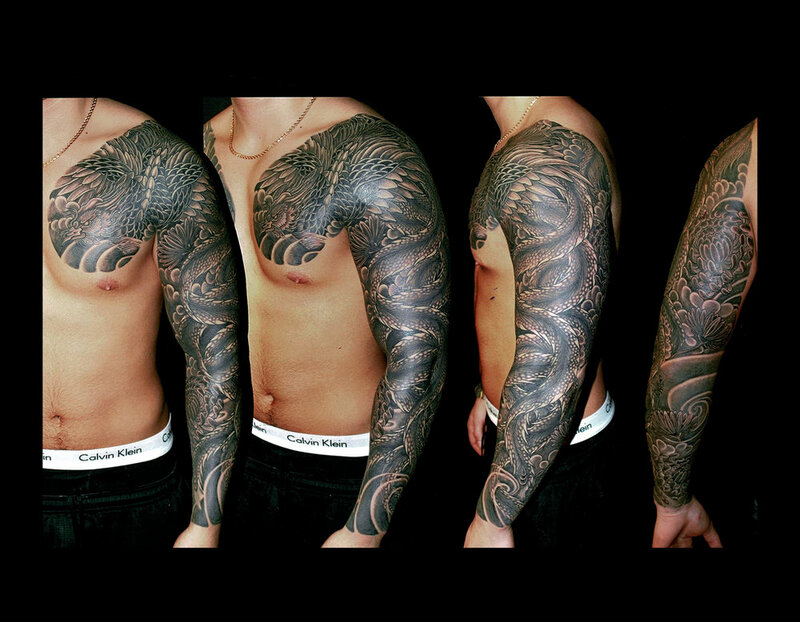 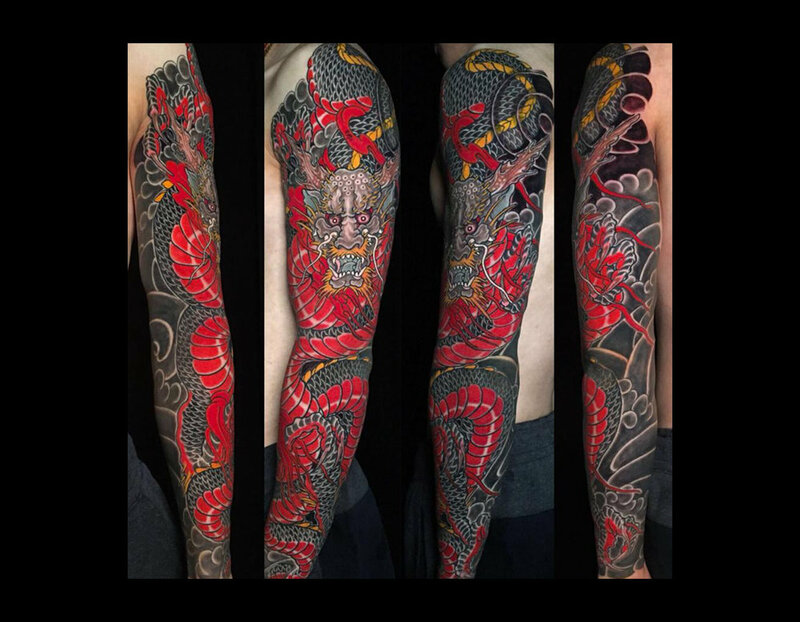 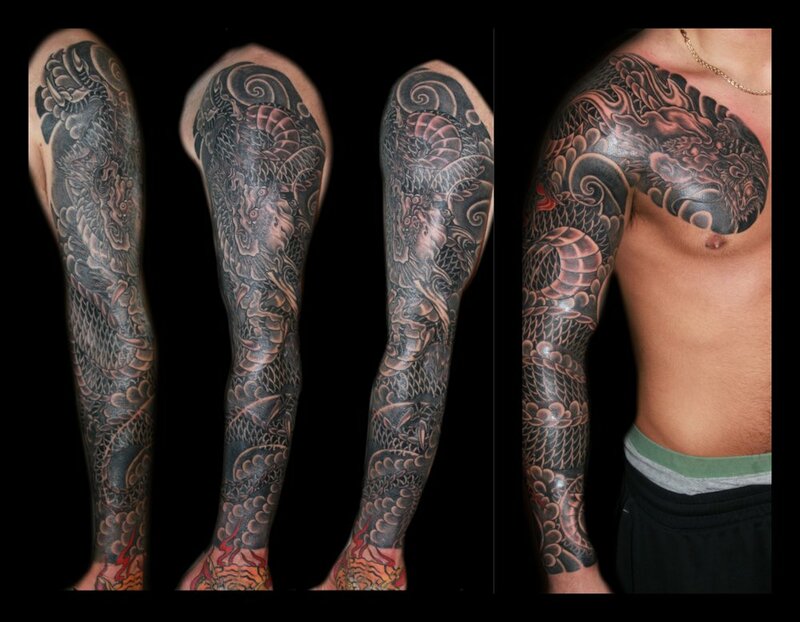 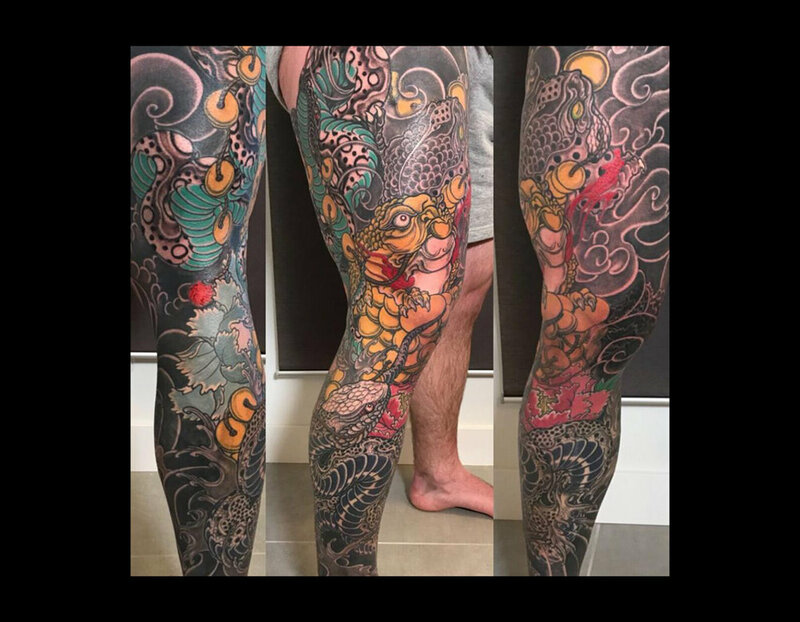 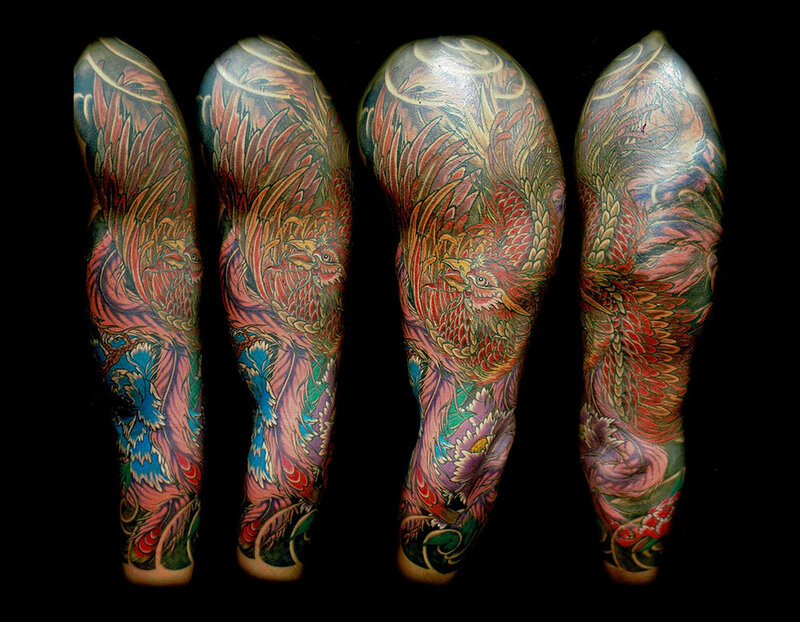 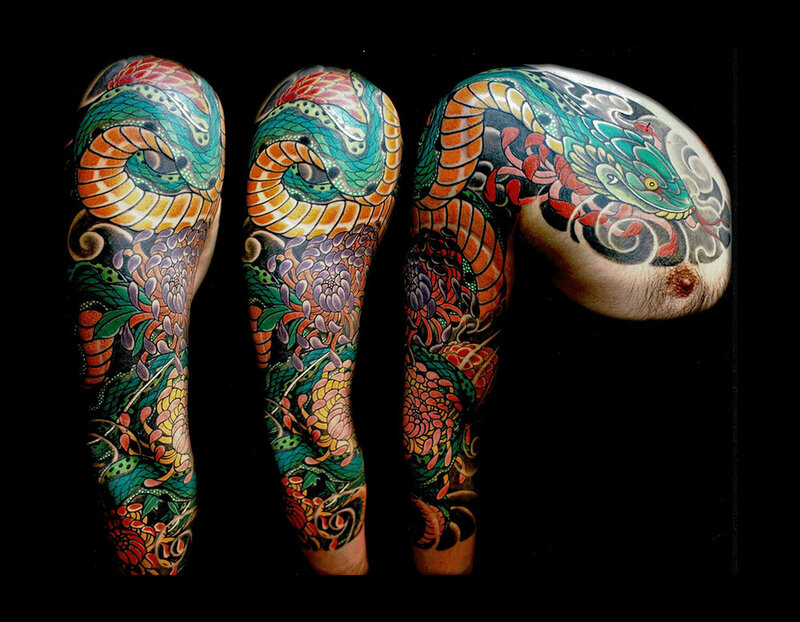 After much success in promoting his tattoo conventions in Japan, he embarked on a tour in North America and Europe where he accumulated many awards in tattoo body art contests. 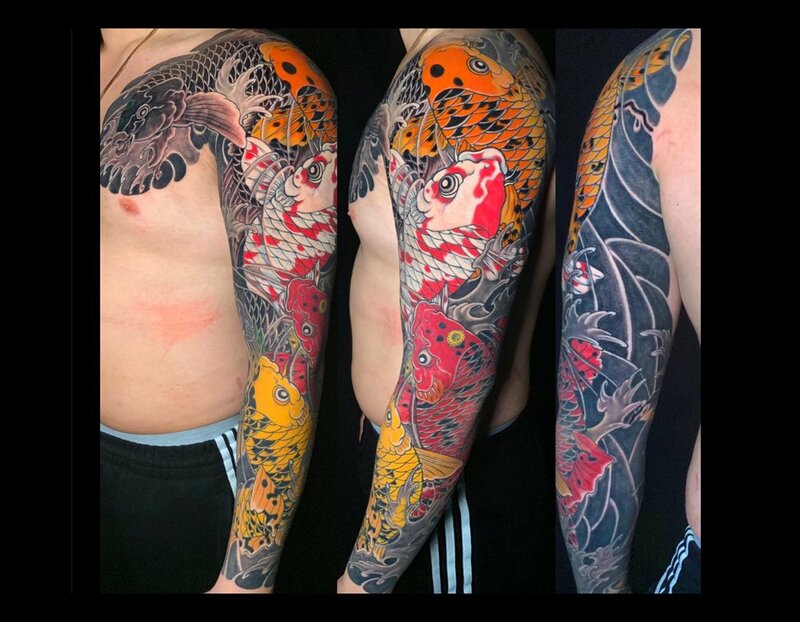 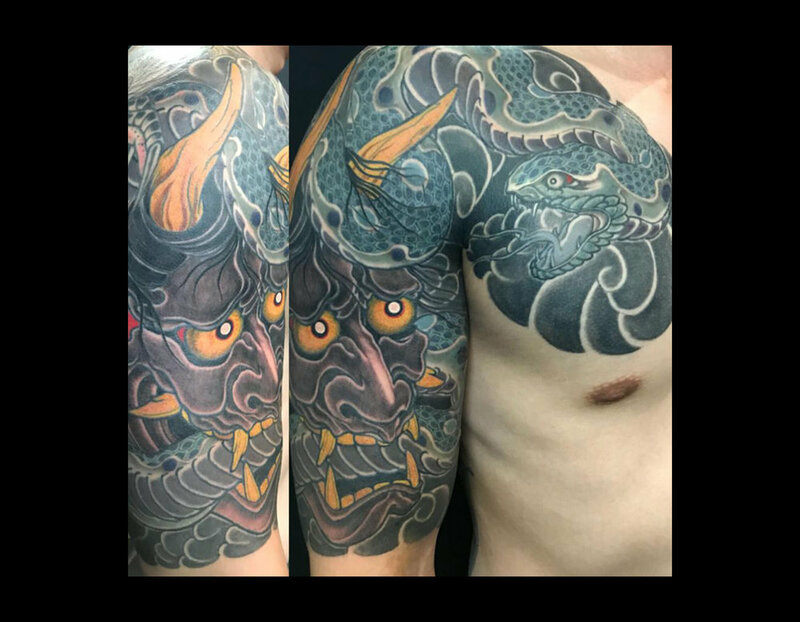 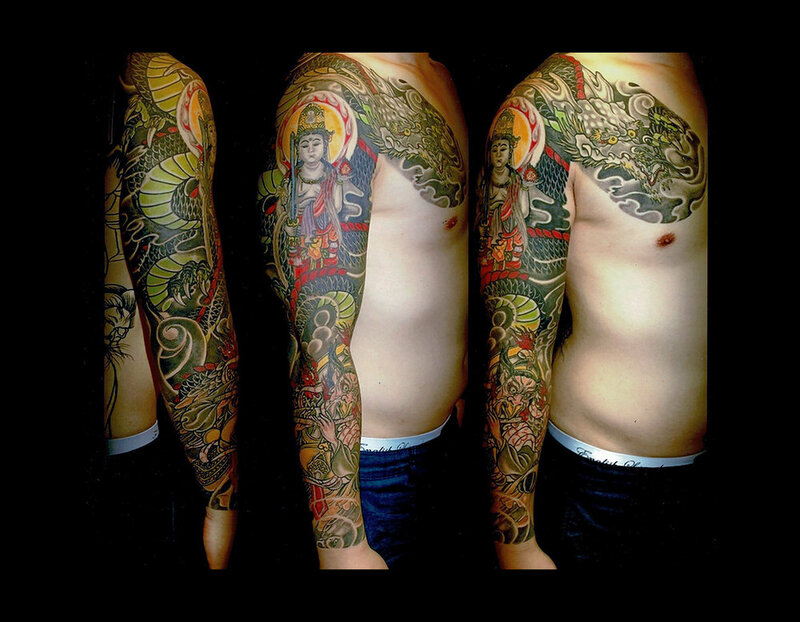 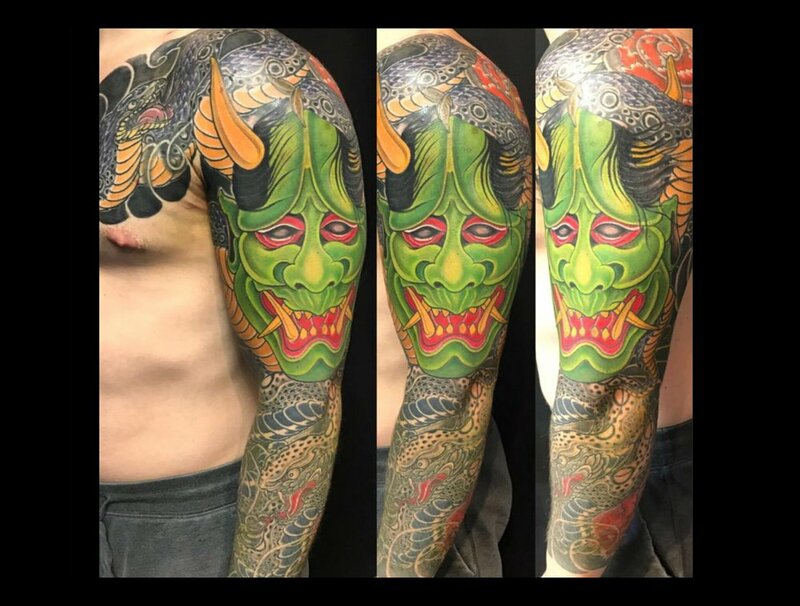 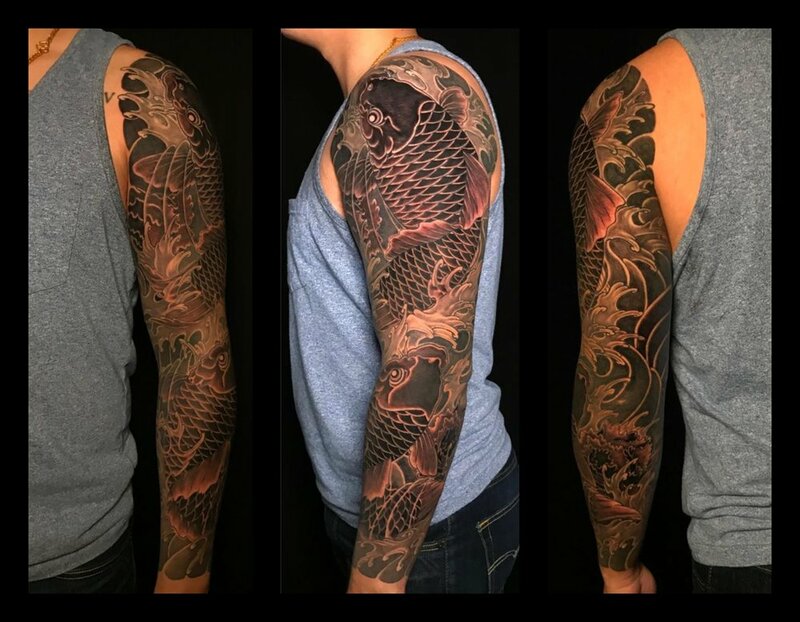 As a renowned artist who specializes in Irezumi and Traditional Japanese Art, Horiryu I still enjoys his craft and travels, but now mainly resides in Vancouver, Canada. 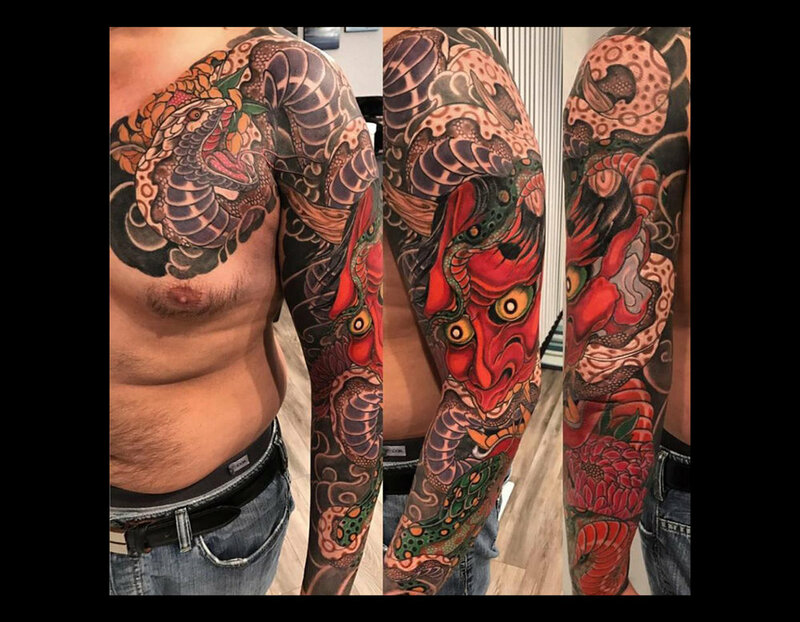 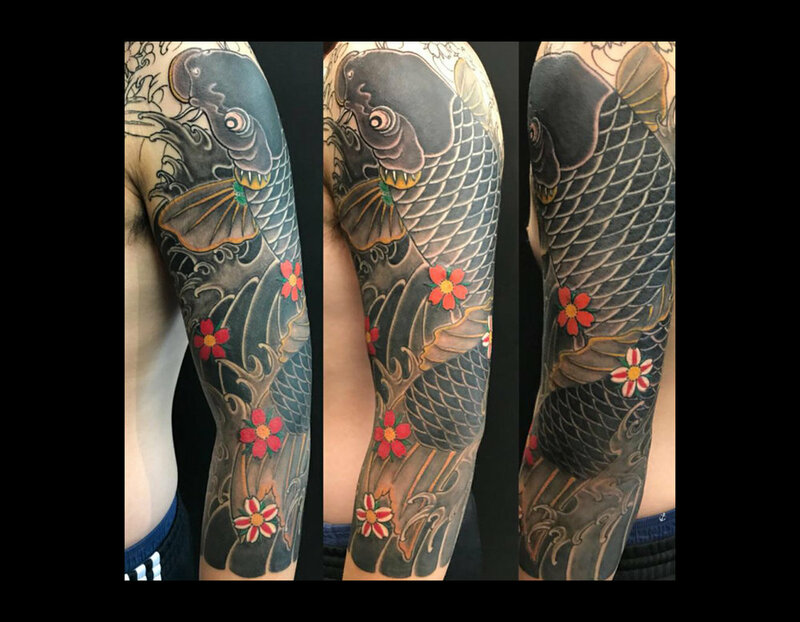 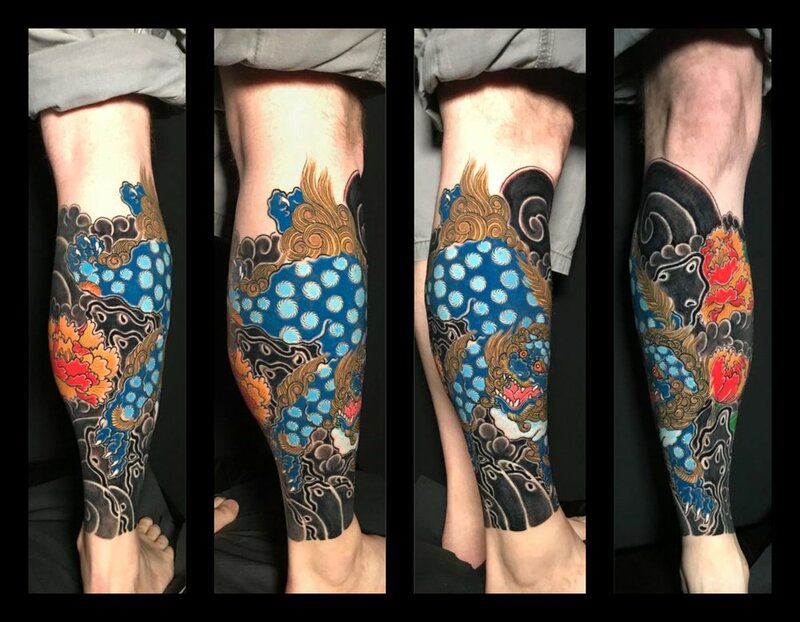 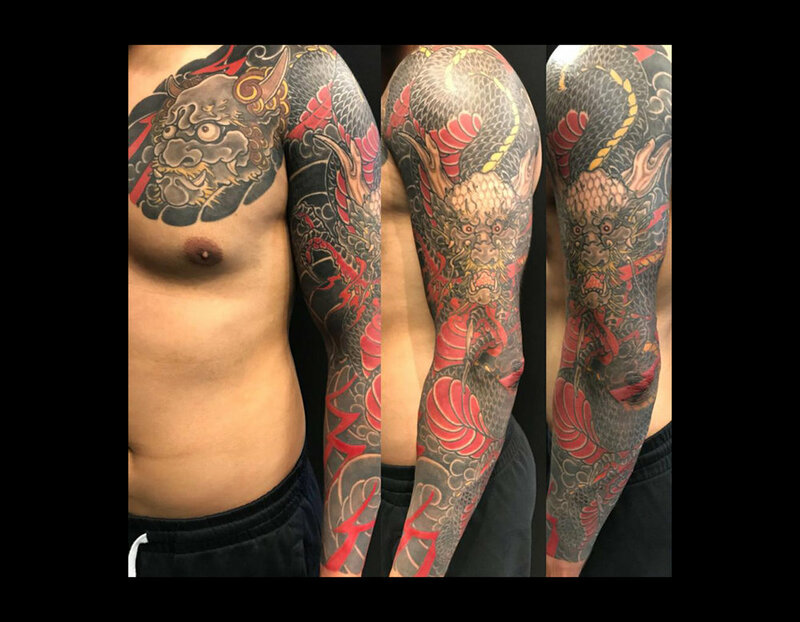 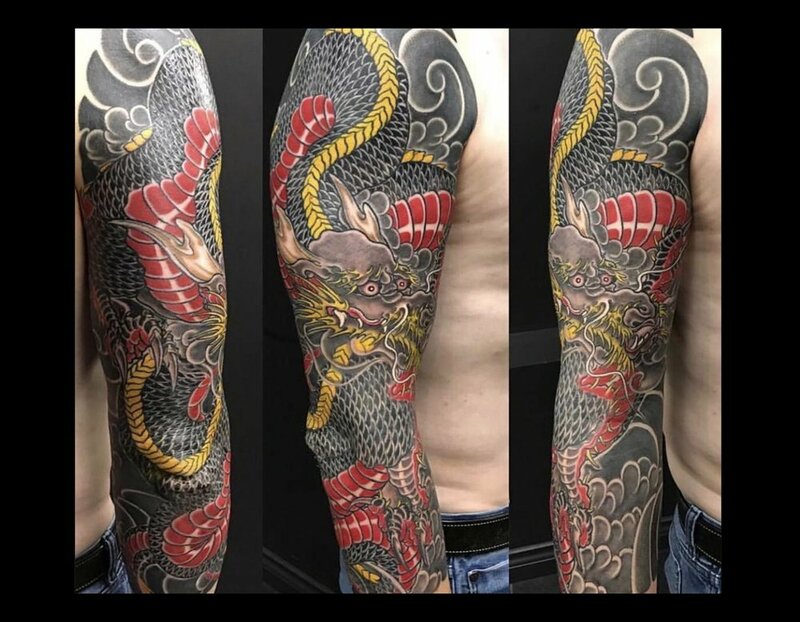 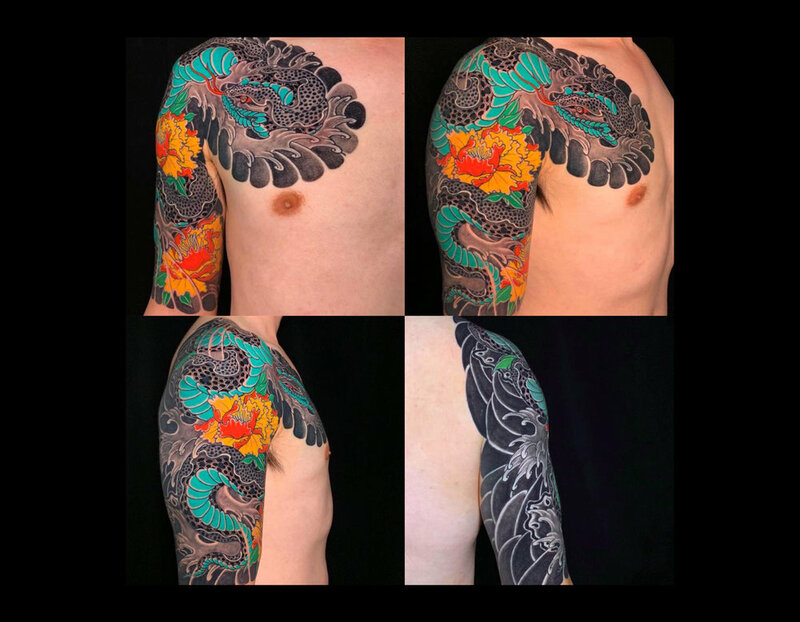 Founder of Horiryu Tattoo Family, Horiryu and his Family continue to tour the world to experience, explore and apply to the growth and preservation of Traditional and Contemporary Japanese Tattoo Art.